The Project: pay tribute to the late Lou Reed's noise classic. This assignment was made in the afternoon, California time, on Thursday, October 31, with 11:59pm on the following Monday, November 4, 2013, as the deadline. This week’s project is a tribute to Lou Reed, who passed away earlier this week. 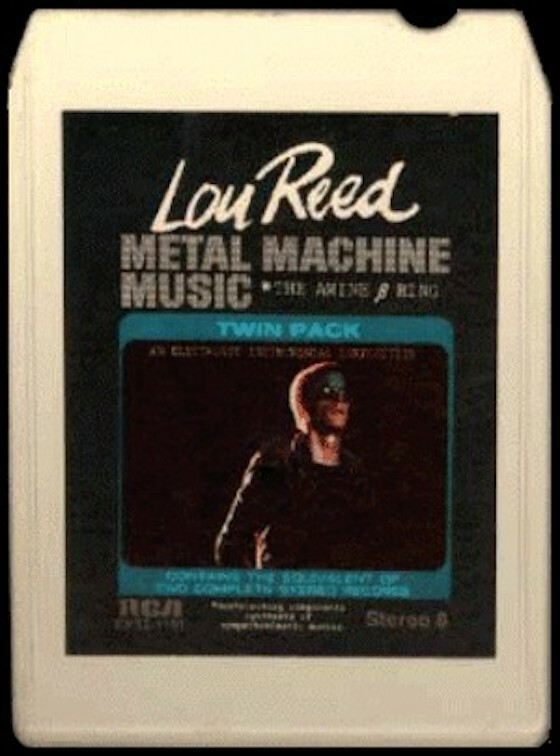 His album Metal Machine Music from 1975 is a classic early noise endeavor. The project this week is straightforward. Using the phrase “Metal Machine Muse” as your guide, create a tribute to Metal Machine Music. Please employ at least one actual metal in your work, and note it in the title of your track. Deadline: Monday, November 4, 2013, at 11:59pm wherever you are. Title/Tag: Include the term “disquiet0096-metalmachine”in the title of your track, and as a tag for your track. For those of you who like the sounds of metal, and appreciate SoundArt check out the Mexican artist Pedro Reyes’ work “Disarm”.